Looking for Casual Camden Market Jobs? Read On! 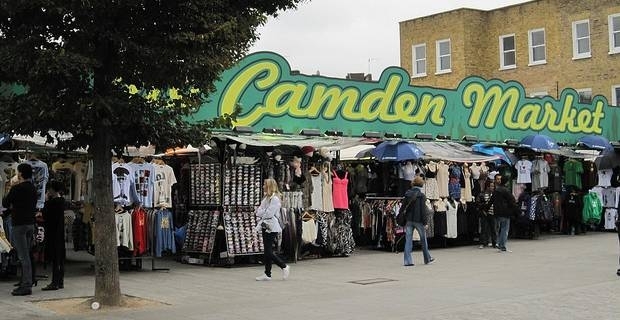 Whether you're employed or currently searching for work, there's never any harm in earning some additional money from casual work - and with so many traders setting up shop at the popular London tourist attraction, there are always plenty of potential Camden Market jobs available for those who are willing to search. If you've ever been to Camden Market, you'll be familiar with its awe-inspiring size. From vintage clothing retailers to antiques dealers to music vendors and just about everything in between, the famous market is a haven for those who like to sniff out a bargain. There's more than just great deals to be found there though, as with so many traders in operation every day, the potential for finding Camden Market jobs is almost limitless. If you're interested in getting involved with a stall, but aren't willing to put your own money in to set one up, the first thing you'll need to do is set aside a day or two to go and explore the market. Not every stall at Camden Market will be suitable for everyone's personal talents and skills, so figuring out which ones might be suitable for you is the most important preparatory step. By spending some time looking around, speaking to vendors and getting to grips with the hustle and bustle of the market, you'll find yourself in a much stronger position when it comes to approaching vendors for possible work. The internet is a valuable resource for any job search, but when looking for Camden Market jobs it's particularly useful. With so many vendors, many of which are there only for a few days at a time, finding a regular position can be difficult - and even if you're looking for something temporary searching some of London's most popular job sites will ensure you have the edge on potential competitors for work. The most important thing when it comes to finding Camden Market jobs that suit you, no matter whether you're looking for something permanent or part time, is to ensure you play to your own personal strengths. Not everyone has the necessary knowledge to work at an antiques stall, for exampe, but by knowing what you are knowledgeable about, you'll give yourself a much better chance of finding your niche. If you're a music buff, try speaking to the people running some of the many music stalls. Dazzle them with your intimate knowledge of music and they'll be far more likely to trust you with a position. Always be personable, and don't be afraid of rejection. The more people you speak to and build personal relationships with, the more chance you'll have of landing yourself a job at a market stall that really appeals to you.